I got my PlayStation 4 in December, the week before Christmas. Why a week before? We like to exchange gifts earlier than most “normal” people because, well, that’s just how we roll lol. Actually, my partner decided on a whim that he would take me to go buy it and he didn’t know what I wanted, so he told me he was getting it. After a few “Oh no we can’t afford it” he said shut up, you’re getting it lol. Ok, so back to the subject at hand. I got Minecraft and played for maybe a few weeks on this little beach. I didn’t know I could even play the game in peaceful mode, and I died so many times trying to escape the skeletons with their damn bows and arrows. I even got blown up by creepers every now and then. I worked so hard to build the house that I built with what little experience I had with the game, and I think I did pretty good. I felt like exploring, so I would leave my home with my bed and I would sleep when the sun went down. I would explore, return home, explore, return home etc. You get the idea. I saw something so neat that I had to explore it, and I went a bit too far and got turned around and couldn’t find home. I wandered around in a complete panic for literally a couple of hours trying to find it, but never found it, so I decided to find a new spot that I liked and built a new home. Over the last couple of months I went exploring knowing I could find my way back home with maps, but I never did find my home. I’ve even gone as far as going into creative mode to fly around looking for my original home, but that didn’t work. Finally tonight I thought, let’s try it again, so I did, and I finally found it. 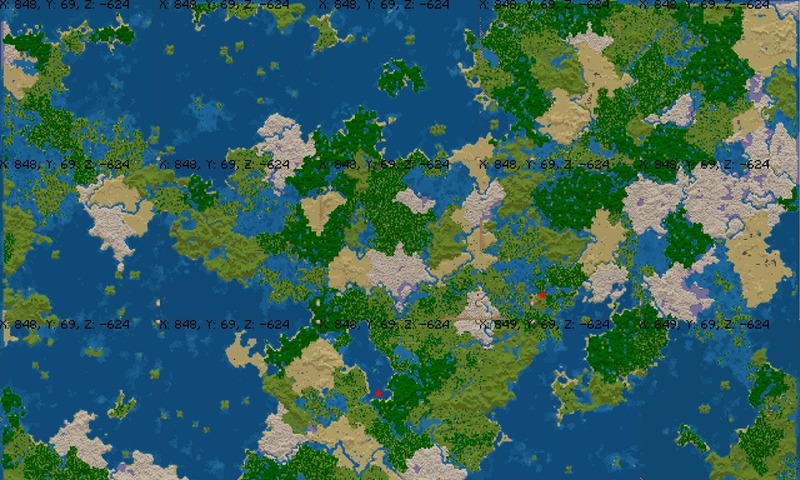 Check out the picture below which is a close up of the giant map at the top. The star on the top is where I live now, and the bottom star is where my original home. It’s funny because they are so close to each other too. That white part at the bottom is where I got turned around. It was the first snow I saw and it really messed me up lol. So now that I have finally found my original home, I can relax. I mean, I was relaxed before. I honestly don’t care about the house or any of the crap in the chests and in the house, it’s just the idea that I lost something that I worked so hard to build that I couldn’t find, and it bothered me to no end. I have it back now and I can use it to my advantage. I don’t know how, but I will think of something lol. 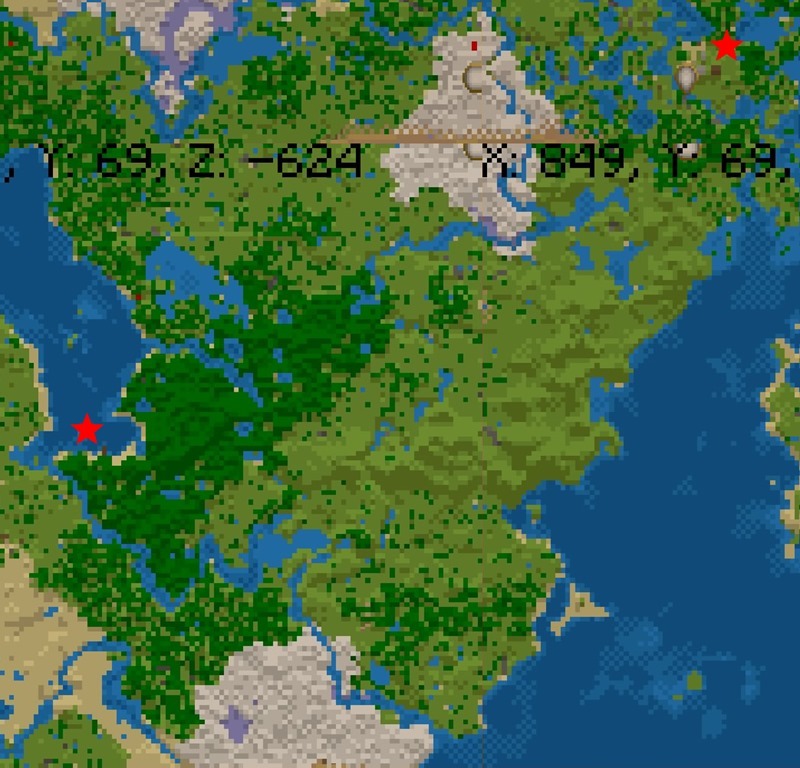 For one there is a NPC village near that house in the sandy area at the bottom left of the map. That’s actually where I saw the giant carved out mountain on the bottom of the map which lead me to the snow that got me lost. Speaking of NPC village… during my mapping, I found many NPC villages and pyramids. I have not yet marked them on the maps, but perhaps I shall go back into creative mode so I can fly to those locations and then add some icons to the map lol. I still have the bottom 2 rows to map out, so perhaps I will do that in time. Anyway, so I am overly excited and thanks for reading. Update: I actually think I have an idea for how I will “take advantage” of the situation of the old house. 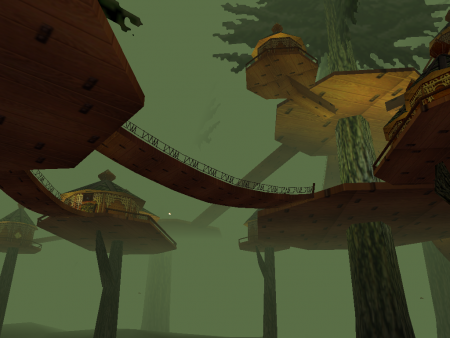 I used to play a PC game called EverQuest, and that game had a forest called Kelethin in the Greater Faydark. Kelethin is a city in the trees, and that old house has a jungle, so perhaps I will start building platforms in the trees that already stand, and add houses to them. Not that it will make any difference to anyone since I’m the only one playing, but it would be nice to remake something to remind me of the good old days in EverQuest.